When I visited this community it was still Emeritus Austin Gardens so I have not visited the community since Brookdale took over. The community is beautiful and specializes specifically on dementia and Alzheimer's residents so the facility is secure and designed to accommodate the memory impaired even those who wander. I had a very difficult time getting a return call from the Community Relations Director to make an appointment. It took three tries on my part to connect. When I arrived at the community, I was impressed with the building but was underwhelmed with the staff. I had a special needs request and was told that the nurse would get back to me and no one ever called me back. I talked with a family member while I was there and inquired how she liked the community. She summed it up best by saying the food was good, the place is beautiful and clean, but the staff are not very responsive. The best way to get to know a community is by scheduling a tour. See the facilities, meet the staff and residents, and get a feel first hand what it's like to live at Brookdale Kettleman Lane Memory Care. Brookdale Kettleman Lane (formerly Emeritus at Austin Gardens) offers a homelike setting and cheerful smiles from our professional staff who greet you every day. Our caring staff offers the assistance you need while respecting your independence. Brookdale Kettleman Lane is a part of Brookdale, a company that helps residents and family members create senior living solutions that enrich their lives through passion, courage and partnership so they can get the most out of “All the Places Life Can Go.” Brookdale has been providing the very best in senior living solutions since 1978. Our peaceful setting, restaurant-style dining experience, activities and beautiful surroundings combine to create a wonderful living environment every day. 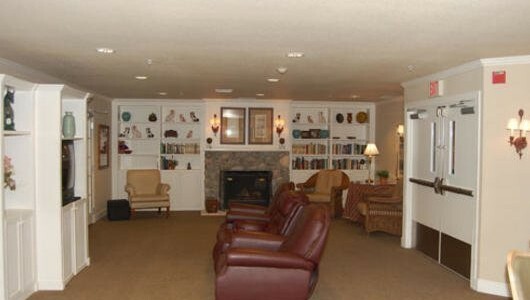 Our genuine caring staff, home-style meals and daily activities add to our residents' living experience. They will tell you they appreciate all the options while living at Brookdale Kettleman Lane. The sense of community is all around you when you become part of our family at Brookdale Kettleman Lane. Through special events, activities, clubs and ongoing cultural enrichment programs, we offer unlimited opportunities for you to get to know other residents and us. Call to set up an appointment for a tour because we delight in showing you our home.